Welcome to this ALMOST NEW spacious and immaculate 4 bedroom, 3 bathroom, 3-car garage home with upgrades galore! With the open and airy layout, you will love to entertain by the gas fireplace in the living room. The enormous master suite is everything you have dreamed of with lots of natural light and an ensuite with a tiled walk-in shower, double sink vanity and large walk-in closet. Plenty of space for guests! This charming home provides a huge 'mother-in-law suite' upstairs for ultimate privacy, with its own living room, bedroom and bathroom. This suite is even plumbed for a future kitchenette! The third bay in the garage is perfect for your own golf cart or a workshop as it is wired for 220v with a built-in work bench. Meadowlands is one of Calabash's finest golf communities and islocated just minutes from all the shopping, dining, and entertainment you could ever want, and our beautiful Sunset Beach - named National Geographic's #4 "Best Beach in the WORLD!" What else do you really need!? 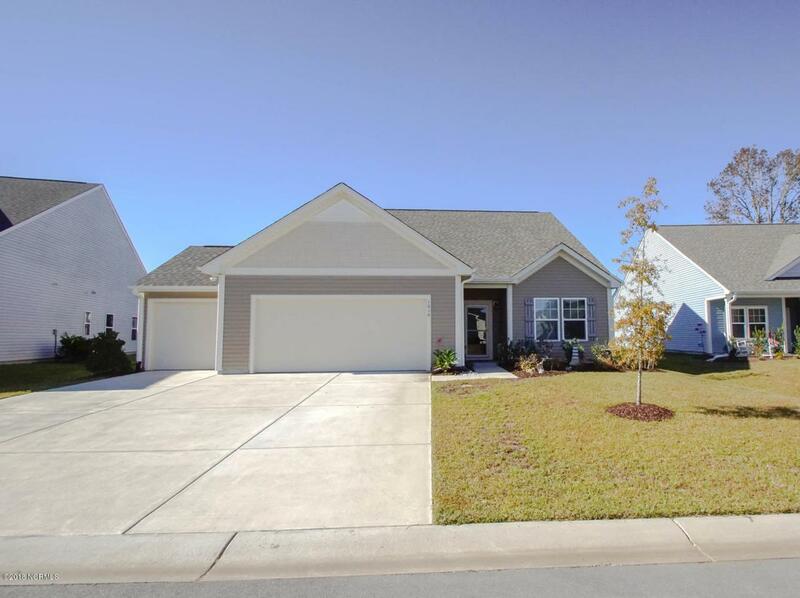 Listing provided courtesy of Melissa J Borrelli of Carolina Plantations Re-Leland.